Posted: Sun Apr 01, 2018 11:45 Post subject: Google Ads keep this community free to join! I bought a driver's step off him via text messaging & Paypal a week & a half ago. Still not received it. Worried..... :? Though I guess I should be grateful I'm only in for eighty five quid! Fingers crossed - it's a long way to Skye! Wouldn't give the scumbag house room!! DO NOT deal with this as----e!! So, just over a month since I paid this chap £85 for a driver's side step which never arrived I have finally had my money refunded by Dean after I escalated the non-delivery to a claim through Paypal. I had been given his mobile number by someone as a recommended supplier of Delica parts. I noticed it was the same number as the seller OnlyJapParts1 on EBay, so I got in touch by text & later paid for the step by Paypal. EBay weren't involved at all. Days went by & no step arrived. First he said he'd sent the item, then, once I had opened a case on Paypal he changed his mind, apologised, and said that he had received two orders for steps the same day, sent one out but neglected to send mine - did I still want it ? Having done my research on him by then I said," No thanks - I'll just get my money back please". Radio silence ............ A couple of weeks later, after repeatedly asking for a refund he contacted me through Paypal and accused me of having originally given him the wrong address when I placed the order (I hadn't, the address was correct) which had "Cost him £15". I wearily pointed out that he had already told me that he never sent it, so I was puzzled how he could have sent it to the wrong place, particularly as the address was most definitely correct. At this point I told him I was escalating the claim through Paypal. Again, radio silence...........He ran out of time to respond to Paypal with his comments three days ago and today they contacted me to say he has issued a refund. Brinkmanship on his part no doubt. Hey ho - got my money back in the end. It goes without saying that I would advise against dealing with this fellow, but, should anyone wish to take the chance & pay through Paypal, their appeals process certainly helped me. I would recommend that ALL communication is kept through Paypal itself though. At some points during this saga Dean was emailing me direct which meant that Paypal couldn't see parts of our communication when it came to considering my appeal - I'm sure he didn't do this by accident. What a P.I.T.A. This man needs locking up - again! He's a serial swindler, very difficult to stop. He would start up again when he got out if you locked him up. And to think the honest decent bloke who started the thread is not with us any more but this maggot is still around to swindle people every day. Ah sheeesh, just bought an L400 alternator off him. Supposedly turning up on Friday. Gulp. And looking through the ebay feedback they're all cut and pasted from other sites! Aaaargh. You would do better to pop along to Fils Pajeros in Southampton, and cancel your order with Dean. Has payment been taken? PayPal will sort you out if it's junk. You never know, it may actually be ok! Payment has gone through (£50) but it's good to know about Southampton, thanks. I bought a couple of things from him recently. First time round -no problems at all. 2nd time round, he was very helpful with his tech advice (which was good), but then he kept forgetting to despatch it (saying 'it will be in the post tomorrow' each time) which delayed things by a week or two. When it arrived it wasn't the complete assembly as agreed, so the garage had to crack on with just what they had. A bit disappointing, if I'm honest. Posted: Wed Oct 31, 2018 22:33 Post subject: Is this a Hollowene incident? Now on eBay as japcarsf4 and claims "We are relatively new to eBay and only have classified listings, hence no feedback". Have a look at his ads. Posted: Wed Oct 31, 2018 23:00 Post subject: Re: Is this a Hollowene incident? How do you know it is him? I had a quick look and couldn't see his name etc. He has now closed his last 'onlyjapparts' ebay account. He had a bit of bad feedback there. If it definitely him tbem report him to ebay? Not sure what they will do? One of his Delica adverts on there absolutely stinks of his bull!, so I do believe it's him. Posted: Thu Nov 01, 2018 12:24 Post subject: Re: Is this a Hollowene incident? 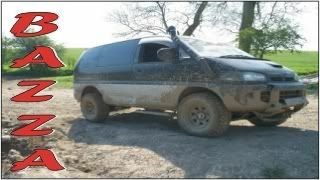 because at the bottom of the listing "1995 MITSUBISHI Delica SUPER EXCEED 2.8 TD AUTOMATIC 4WD EX SHOW CAR"
the vendor japcarsf4 states "IF YOU NEED ANY FURTHER DETAILS ABOUT THIS CAR CALL ME, ask for Dean on 07555444 986." - and this is one of Dean Rosenthal's phone numbers. I can't see any conceivable reason why he would keep changing ebay user I'd (almost into doubl figures now) other than that he must keep getting bad feedback or getting into trouble with ebay. None of which are indications that he has mended his ways. Quite simply put the guy is a crook, he has been to prison for his nefarious activities and everytime E-Bay suss out one of his multiple accounts they shut him down.